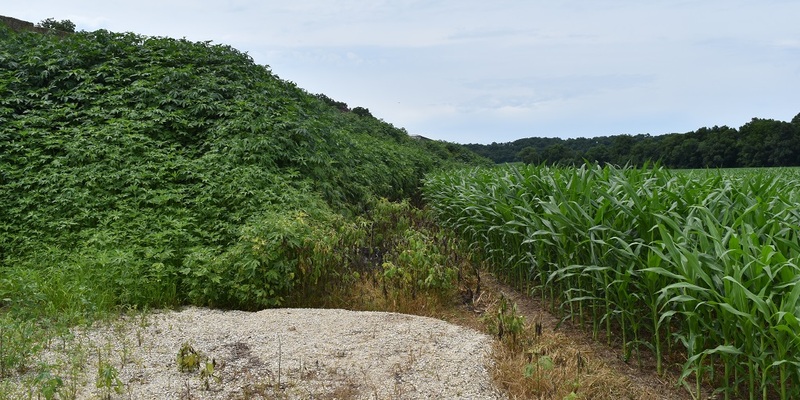 Monona, IA, 2018: Giant ragweed plants cover an embankment adjacent to a corn field. 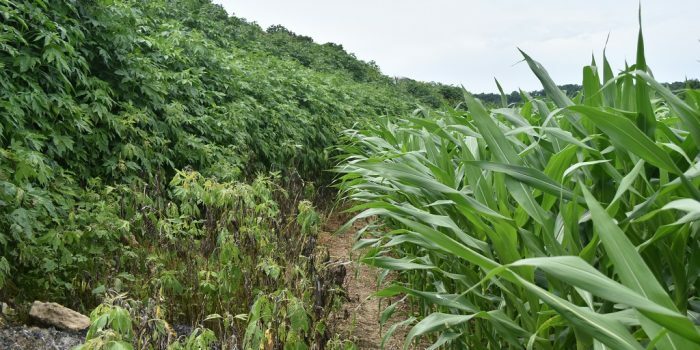 Giant ragweed is a literal big problem – it can grow up to 17’ tall, consumes large amounts of vital in-field resources like nitrogen and water and sprawls across many of the best corn-producing acres. Alone, a single giant ragweed plant consumes nearly 3x as much water to produce 1 lb. of dry matter as a corn plant*, meaning even small populations are significant yield robbers. In addition to lower numbers on the grain monitor at harvest, there’s the hidden cost of lost nitrogen and water. Water loss is especially costly and stressful to corn plants in drought conditions. To combat giant ragweed in corn, we recommend a 2-pass system of Acuron® or Acuron Flexi herbicide pre-emergence followed by the remaining rate post-emergence, or a pre-emergence application of Acuron or Acuron Flexi followed by Halex® GT herbicide plus either an atrazine or dicamba product post-emergence. Each of these corn herbicide premixes contain multiple, effective sites of action for built-in resistance management and provides long-lasting residual control, especially when layered in a 2-pass system. Monona, IA, 2018: A clear line between an embankment covered with giant ragweed and corn highlights the performance of Acuron followed by Halex GT.